With the number of countertop choices growing, you can mix and match materials to create a unique combination of colors, textures, and functions. High style meets sustainable living with these countertop materials. As with any product you use on a project, you want to have confidence in the quality, durability and consistency of the bamboo flooring, cabinetry panel, parquet butcher block or veneer that you select. Teragren is committed to developing and manufacturing beautiful bamboo products for home or business environments. 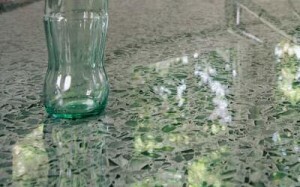 IceStone Durable Surfaces are made from 100% recycled glass and cement to create a high performance, green concrete material. 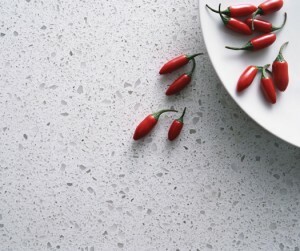 IceStone® surfaces are the ideal choice if you are searching for an eco-friendly, green countertop. IceStone surfaces can also be used for backsplashes, bathroom vanities, table tops, bar tops, interior walls, and commercial flooring applications. Beautiful shower and bathtub surrounds and kitchen sinks can be made with IceStone as well. IceStone surfaces can be mounted vertically or horizontally. IceStone durable surfaces do not contain any petrochemicals and therefore will not fade from direct sun exposure. IceStone products are a healthy and safe choice for your surface needs, as they are chemically benign and 99.5% inorganic. Due to its high recycled content and Cradle to Cradle Gold Certification, IceStone materials can contribute to LEED points. CaesarStone offers two products – CaesarStone – the original quartz stone countertop surfacing material and Concetto – our stone surface made from individually cut semi-precious stone. 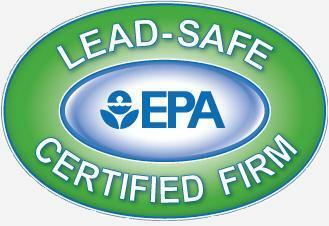 The manufacturing process begins with a rigorous inspection of all incoming raw materials. These are blended at the ratio of 93% natural quartz aggregates to 7% pigments and polymer resins. 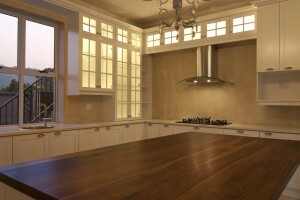 Craft-Art Wood Countertops bring the warmth of natural wood to your kitchen. 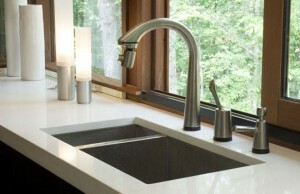 Craft-Art Countertops are food-safe, scorchproof, scratch-and-stain-resistant, and waterproof, too. They are available is every conceivable configuration, and are made from a selection of 21 wood species, including some earth-friendly, sustainable species. 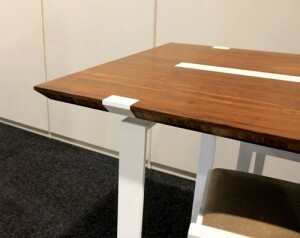 The craftsmanship is superb. Craft-Art products are sanded to a very fine 800-grit and sealed with organic Tung-Oil-based Waterlox®. PaperStone is designed to give the beauty of stone, the strength of steel, with ease of workmanship. It uses a 100% water based resin system and a proprietary paper that is a guaranteed minimum of 100% post-consumer recycled paper and is FSC certified by SmartWood. Still available is the original PaperStone as well, made from 50% post-consumer recycled paper. Soapstone has a soft charcoal color with gray to light-gray veins. Over time, it oxidizes from light grey to dark charcoal in color. 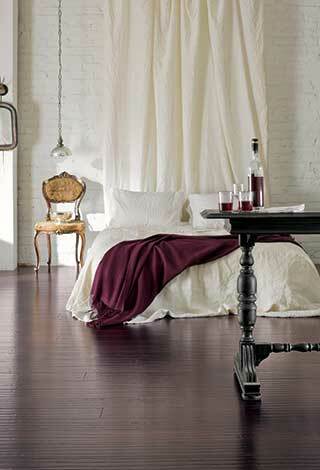 A protective coat of mineral oil makes its color even more dramatic. Because of its mineral composition and the process by which it is formed, Soapstone is very dense, non-porous, and chemically inert. 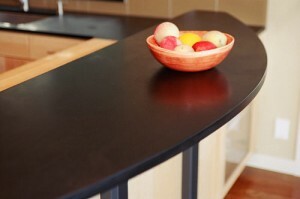 Nothing will stain or etch soapstone, and you do not have to apply artificial sealers to protect soapstone countertops. Other natural stones, such as granite or marble, will stain or etch even after applications of artificial sealers. Soapstone has been used for decades as chemistry lab tables, because it is inert and will not be harmed by acidic materials. Soapstone is also a great conductor of heat and can withstand very high temperatures. You can set hot pots and pans directly on your Soapstone countertop surface, and not worry about the stone being damaged.